Built in 1906 on Point Elliot in Puget Sound, Washington the Mukilteo Lighthouse is located near the ferry to Whidbey Island. The word 'mukilteo' is said to mean 'good camping ground' in Native American. The light marks a turning point for ships heading towards south towards Seattle or north towards Everett. 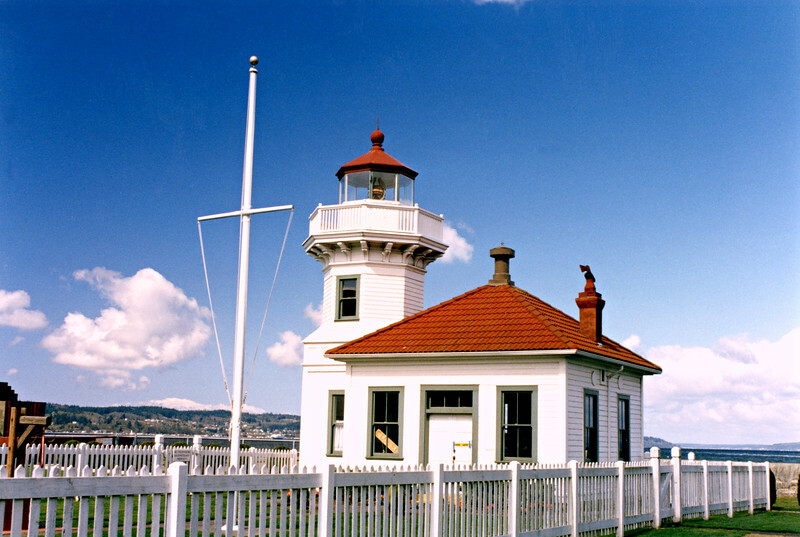 At the turn of the century the Lighthouse Board decided a light was needed to mark Elliot Point, but had some trouble obtaining the land from the owner. Eventually, 2.6 acres were obtained and a 38 foot tall Victorian tower of fir wood was constructed in 1906. The plans used were a Carl W. Leick design that was also used for the Ediz Hook lighthouse and the second light at Cape Arago, Oregon.